Both natives of New York (New York City and Long Island), Traug and Eileen Keller made frequent trips back to their home state. The "Cemetery Bridge" in Rensselaer County, New York, over the B&M Railroad tracks at 101st Street in Troy. Built in 1885, photographdc on August 10, 1062. 90 feet in length. The bridge is now gone - no word on the railroad tracks! A graceful covered bridge in Wyoming County, New York, east of Cowlesville over the Cayuga Creek. Built 1874, photographed on August 7th, 1957. 81 feet in length. The bridge was lost to arson in the 1960s. The "Vermilyea Place" bridge about 3 miles south of Arkville in Delaware County, New York over Dry Brook. Built in 1906. 63 feet in length. Photographed on February 21, 1955. The bridge is gone. The Dunraven Station Bridge, west of Margaretville in Delaware County, New York, over the East Branch of the Delaware River. Built in 1870 using Town Lattice Truss method. 126 feet in length. Photographed on February 21, 1955. Removed in the 1960s to make way for the Pepacton Reservoir, an expansion of the New York City water supply. 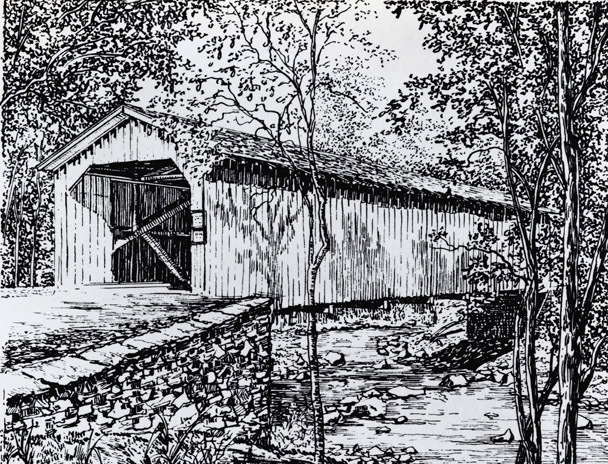 A covered bridge over Dry Brook, 1-1/2 miles sough of Seager, Ulster County, New York. Just 36 feet in length. Built in 1906, photographed on February 21, 1944. The bridge is now gone. 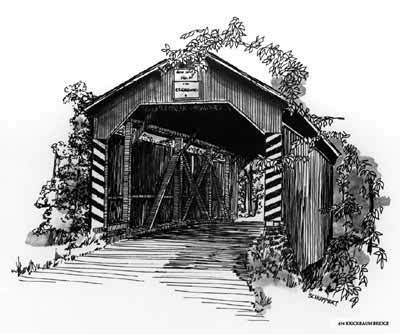 A covered bridge in Washington County, New York, in Shusman over Batten Kill. Town Truss construction, with a center pier. Built in 1858;datephotographed was not recorded. 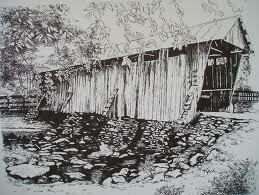 The bridge is still in place, but has been bypassed and is now a covered bridge museum.